"Bhuj: The Pride of India" celebrates the courage of the 300 women of Madhapur in Gujarat, who played a pivotal part in India's victory in the 1971 India-Pakistan war. It tells the story of how these women got together to repair the only runway in Bhuj that had been destroyed during the war, a statement said. 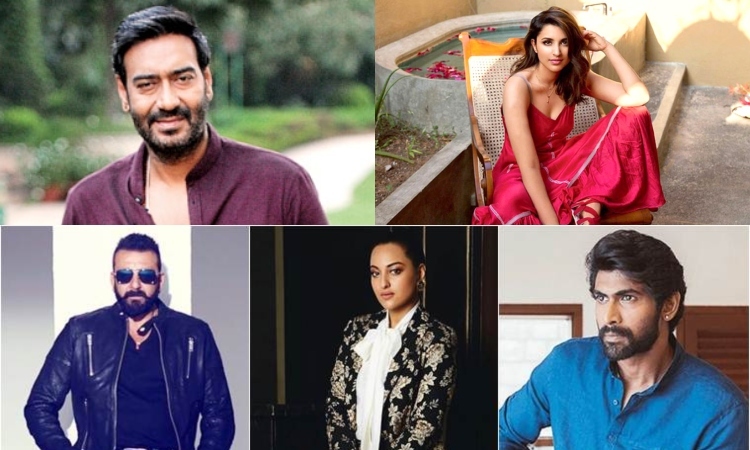 Sanjay Dutt, Sonakshi Sinha, Rana Daggubati, Parineeti Chopra and Ammy Virk star in the film, produced by T-Series and Select Media Holdings LLP. While Ajay will be seen playing a war hero, Sanjay will play Ranchordas Svabhai Ravari 'Pagi'. A pagi is someone who can identify a person's nationality, gender, height and weight by their footprints. Sonakshi will be seen as Sunderben Jetha Madharparya, a social worker and farmer, and the woman who convinced the other 299 women of Madhapur to help build a runway that had been bombed by the Pakistani army during the 1971 India-Pakistan war. Rana will play a Madras Regiment Lieutenant Colonel who was posted in Vighakot Chowki and fought in the war, while the part of Heena Rehman, an Indian spy staying in Lahore, will be portrayed by Parineeti. Ammy Virk will be seen as a squadron leader and a fighter pilot.